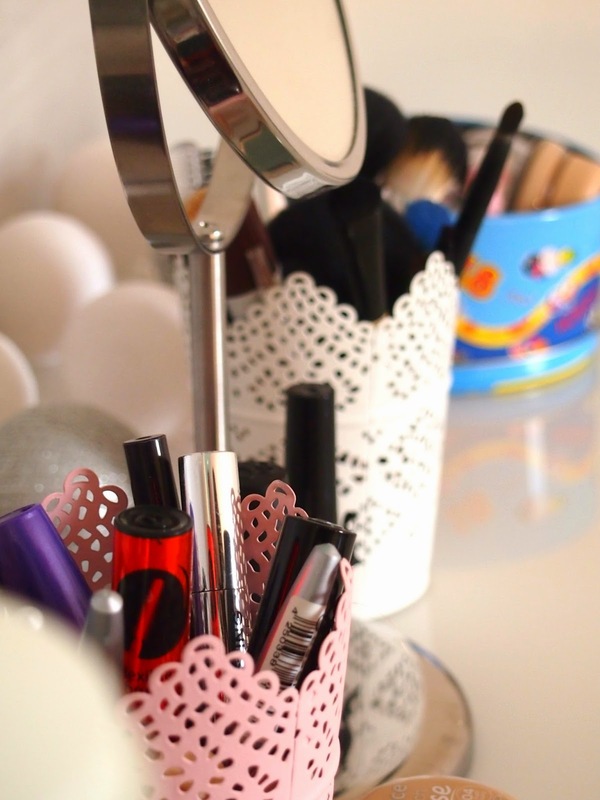 I've been waiting to upload my make-up vanity for what feels like ages, I guess it's always been in the back of my head but I never actually took the time to snap some pictures of it. But here it is then, the place where I like to paint my face now and then. My dad always jokes about it because he doesn't understand why girls put make-up on their faces and neither does my brother. They're part of the male species for a reason and to be fair, it would be weird if they knew everything about make-up. Since I redecorated my bedroom, which some of you may know, I took the time to create a vanity and I must say I absolutely love it. 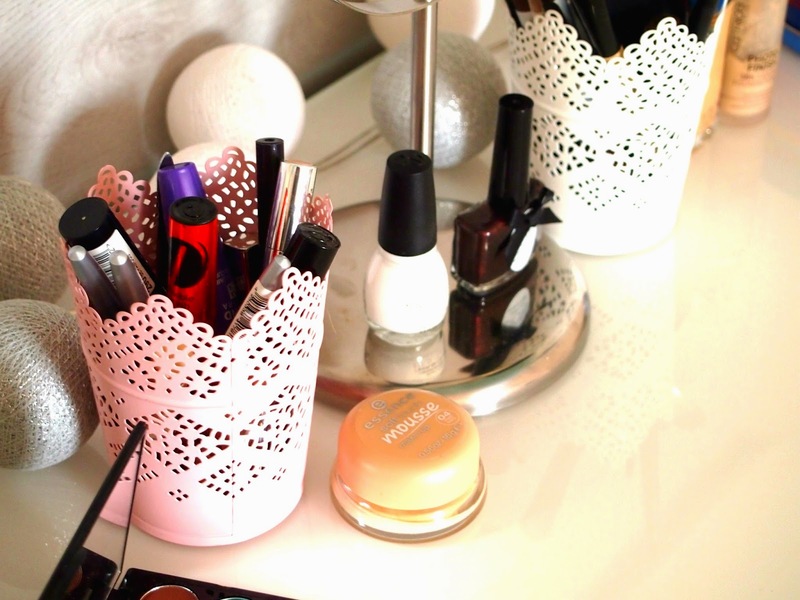 The cute Ikea make-up holders - they're actually meant for candles but who cares - are perfect to store brushes and mascaras, lip pencils,... Anyway, I just really like the way my vanity turned out and I think it looks cute. 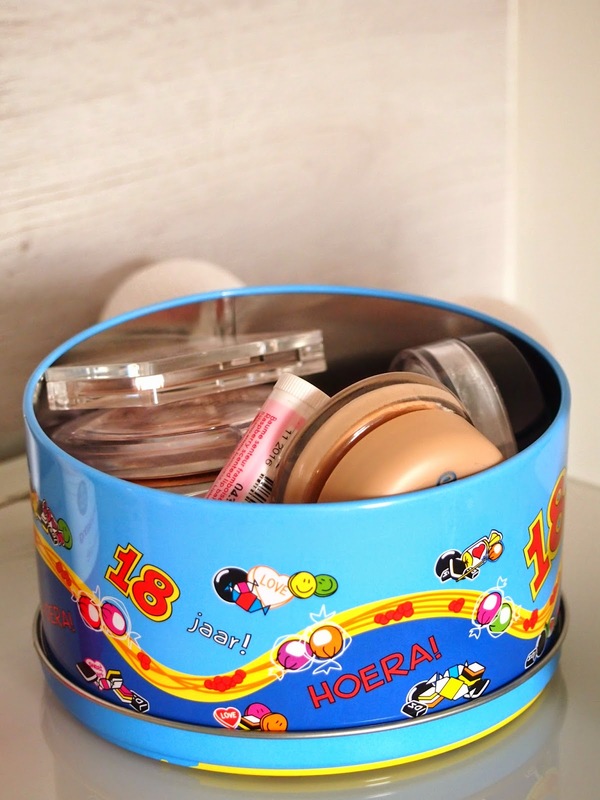 The rest of my make-up is stored in the drawers of my commode because it would be a bit too messy if I kept everything stored on top of the commode. I love it! I also have a quick question for you, I have been saving up for a new camera lately and I was eyeing the Canon 700D. Have you got any experience with a DSLR and if so, what camera do you use for your photos? Such lovely photos!! 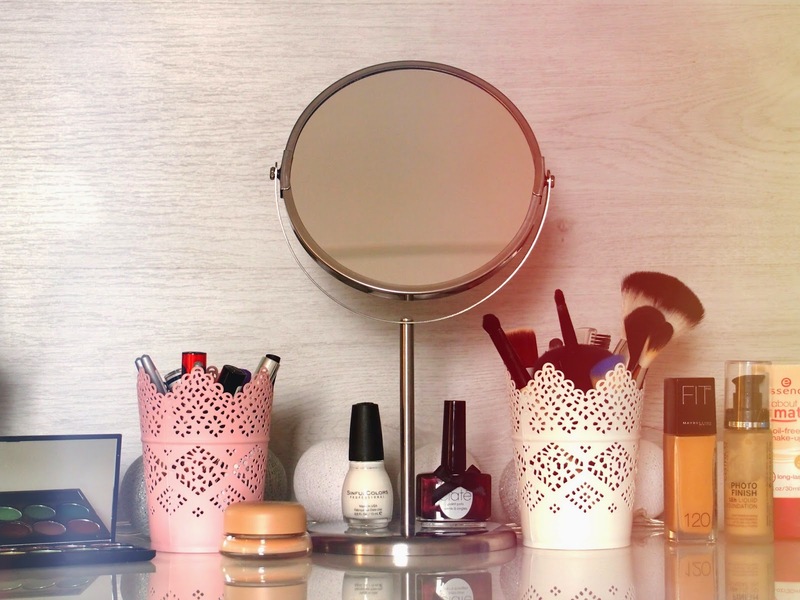 Love your vanity space! Mine is such a hot mess! lol I would love it if we could follow each other! Let me know! Great post! 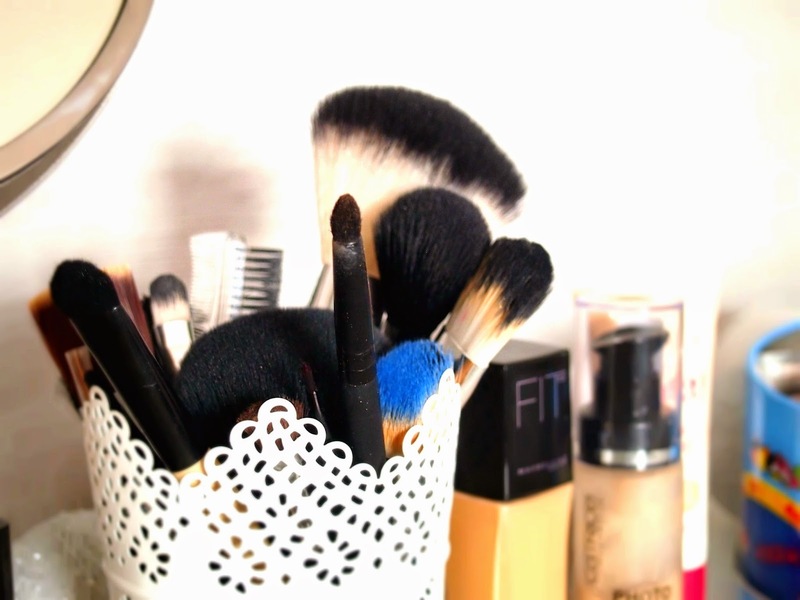 I haver the same holders to my brushes!